The first book in this series, Kill Game, was one of my favorite reads last year. I'm placing Trick Roller right up there on a high shelf as my favorite read so far this year. I'm convinced the rest of this series will not disappoint! I am loving the progression of Levi and Dominic's relationship. They are absolutely perfect for each other and I love seeing them together. They have the potential to be tremendously awesome! I'm still waiting for them to have the 'relationship talk', but neither is ready to admit just how much they mean to each other. I may have to guard my heart (and break out the tissues) if they have tough times ahead. Levi and Dominic's working relationship is an important part of why I enjoy them so much. The professional attention they give to each other speaks volumes about their mutual respect. They are both dedicated to doing their jobs well, and I like that Dominic is 100% behind Levi and his theories regarding the seven of spades killer. Once again, the writing was impeccable. 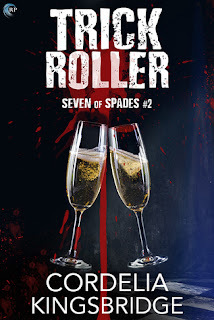 The plot had a ton of depth, and I loved how the the author managed to intertwine Levi's current murder investigation together with the seven of spades investigation. Trick Roller was quite an enjoyable and memorable read. The murder / mystery plot was very tightly-constructed and kept me interested right to the end. After such a shocking ending, I'm really looking forward to seeing what happens in the rest of this 5 book series. 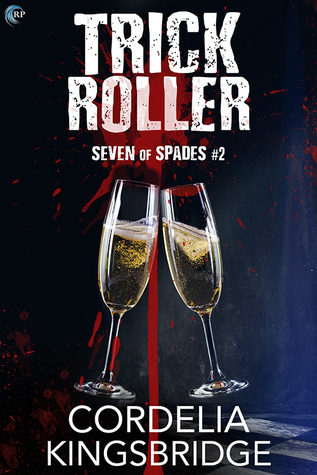 An arc of Trick Roller was generously provided by the publisher, via Netgalley, in exchange for an honest review.